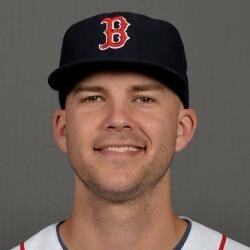 Justin Masterson was released by the Red Sox on Wednesday, Pete Abraham of the Boston Globe reports. Masterson was DFA'd earlier in the month. Justin Masterson did horrible in his return to the Red Sox this season. Masterson finished his Sox season with a shaky 5.61 ERA and 1.60 WHIP in 59.1 innings. He will probably get picked up by a pitching hungry team but will not be a factor in fantasy.